As a self confessed highlighter addict, I get far too excited about trying new options. 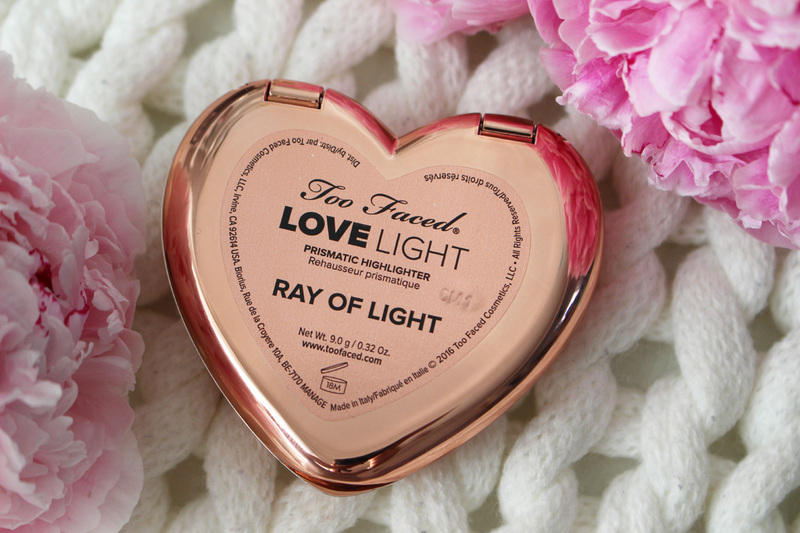 This Too Faced Prismatic Love Light Highlighter*(£25.00) in shade Ray Of Light has been my go to for the past two months and I cannot get enough of it! Even my 2 year old is obsessed and asks for 'sparkle', haha. First of all - the packaging! It is absolutely stunning! 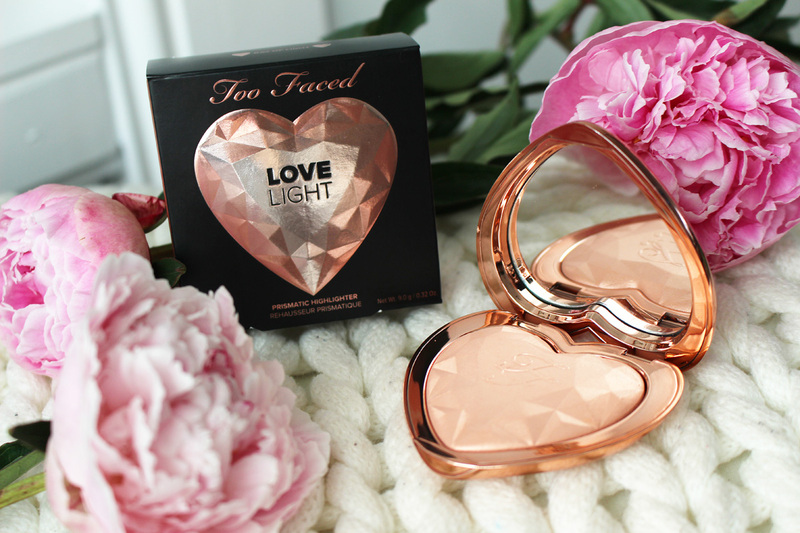 I adore the heart shaped compact in rose gold, with a lovely mirror inside. It feels sturdy and looks very luxurious. You get 9g of product inside which is pretty good. I have Ray Of Light, a lovely rose gold shade. There are two more to choose from, each one in a matching colour coded compact - a cool toned Blinded By The Light and a yellow toned You Light Up My Life. The formula is lovely and very finely milled. 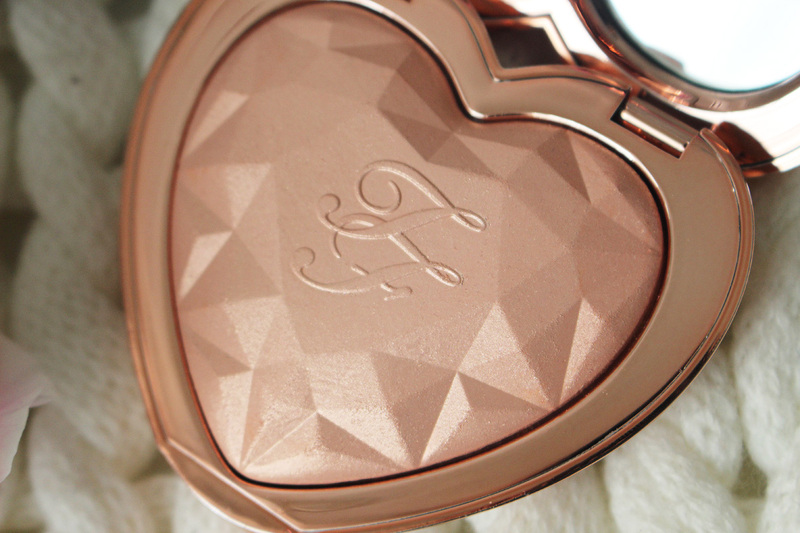 It feels velvety to the touch and almost creamy despite being a powder. It applies like a dream with fingers and brushes and melts into the skin, giving it the most beautiful glow. You can opt for a subtle finish with a light layer or a super glowy look if you apply a bit more product. It looks lovely both ways. 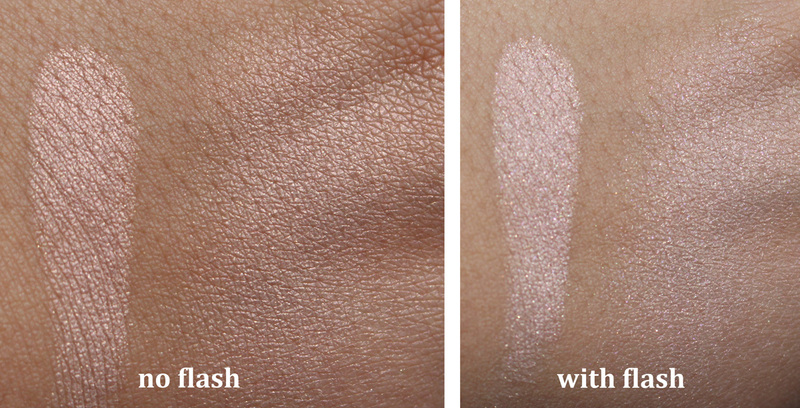 Here are the swatches of Ray Of Light. In daylight on the left and with flash on the right. I am so in love with this highlighter! 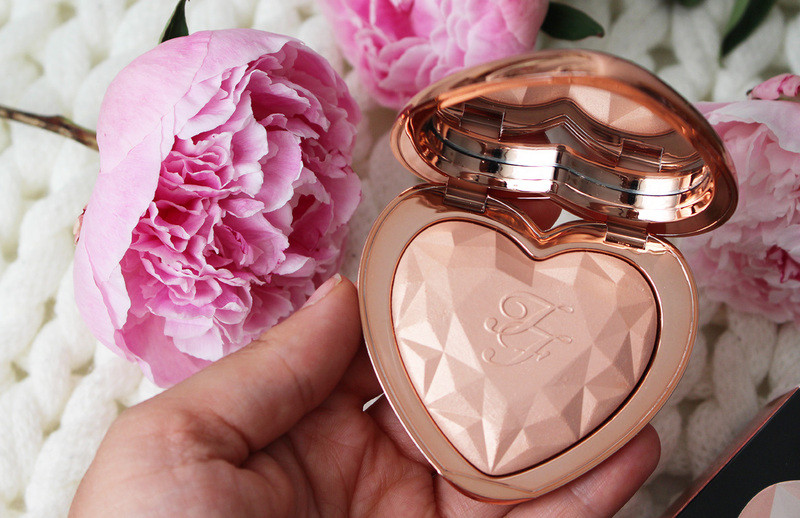 The formula, the packaging, everything! It is simply gorgeous! 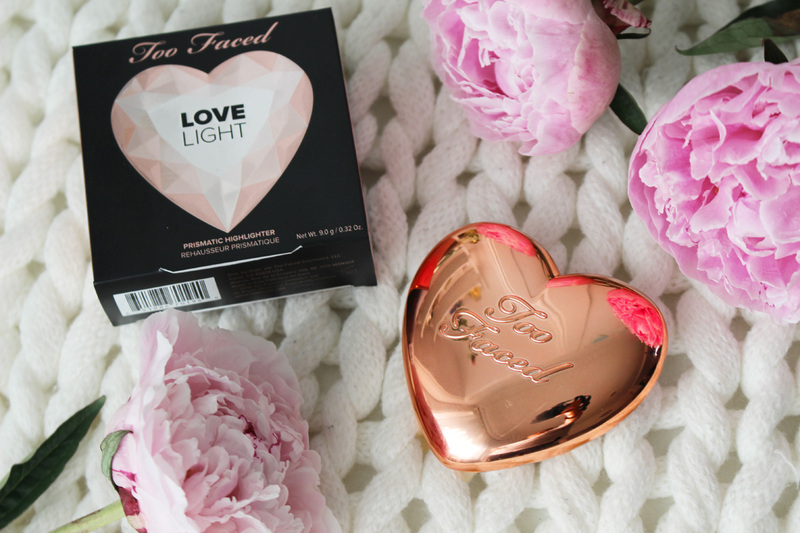 You can buy it from www.toofaced.com, Debenhams and other stockists.